Never miss a beat in your operation when you take advantage of our conference room rentals at our Business Center in Venice, Florida. 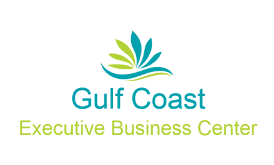 At Gulf Coast Executive Business Center, we understand that when you are working for clients, you need a private space to hold a dialogue. We are happy to offer the perfect solution. At our Business Center you can choose among two conference rooms: a larger room that comfortably accommodates up to 12 people, and a smaller area that accommodates up to 6 people. Our rooms are available Monday through Friday between 9 a.m. and 5 p.m. and we do require at least one week advanced notice for booking. There are no limits on how often you can reserve the room. Clients with a long- or short term office lease and clients with a Corporate ID package, will get discounts on use of conference rooms on a monthly basis, Conference Room reservations can be made online and are subject to availability. Both conference rooms feature multiple telephone lines. You also have access to copy and fax machines, as well as Wi-Fi internet. To our clients and their guests, we offer water, coffee, and tea services upon request. As we are also located within a mile of a number of various restaurants, we can easily organize lunch reservations on your behalf. Click here to reserve a conference room today! 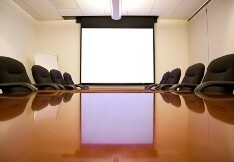 Contact us for conference room rentals to ensure you always have space to grow your business.